It is a habit of mine to consult the Runes at the various festivals, giving me a focus for contemplation of the time past, and the time to come – a way of considering where I am in my life, and my current direction of travel. And in support of that, I drew Uruz: the rune of strength, which can also be the rune of termination and new beginnings. So, not only was this an opportunity to consider where I am and what I’m doing, but the runes drawn acknowledged the idea of doing so – the examination of self, in the context of the end of one year and the start of the next. 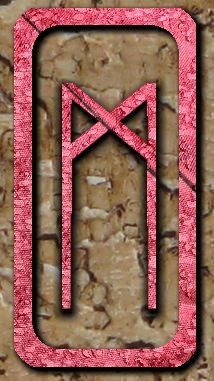 Mannaz is a rune of balance – it is formed by the rune of joy ( Wunjo) mirrored with itself to create a point of stillness and caution, even in delight. Focus, it says, on the here and now, pay attention to the tasks in hand. 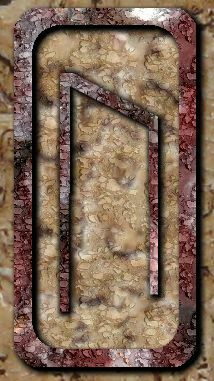 With Uruz beside it, it advises to let some things end and others come to be in their own time. Stand still, Mannaz says, while the world and the wild spins about you. This is a time to experience rather than shape, or even be shaped. In the long night of Yule we descend into the darkness, sometimes alone – and sometimes in the company of friends and family – but always waiting for the promise of the dawn and the rebirth of day. Stand firm, Uruz replies. You have the strength to weather the storm, and the maturity to see it through. After a storm comes calm, and at the end of the long night the sun will rise again, reborn. Choose to rise with it: be in the moment, and let the moment be. Together, they advise: as darkness falls, consider your actions, and what must be done. Consider, also, those around you and what they bring to make you who you are. Where you stand as part of a greater whole, celebrate your tribe, your family. Gather the strength of many, and make it your own. Carry all of them with you, into the light. Take this moment to center yourself in yourself: be true, be honest, and do not fear what may come. My tasks are many – sorting the echoes of both my husband’s and my mother’s past, preserving their arts and creativity – and I must balance those works against my own desires and creative inspirations. There is so much to sort and settle that I can spare little time to dabble with new work and new ideas. I am conscious that trying to tackle bigger projects would unbalance me, leaving me with too much started and not enough done. But I am making progress. I am focusing on keeping tasks in motion and on ticking boxes as stages in the process are successfully reached. The runes tell me to be patient and persistent, and that by doing so, I will be able to move on to new things in time. Last week I used up the last of an old batch of incense, made several years ago. 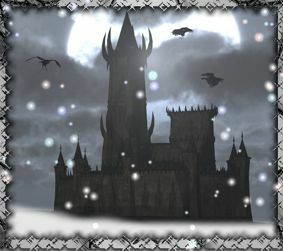 ‘Castle Winter’ was originally created as part of a range of incenses made for sale at a Robin of Sherwood convention, and was therefore somewhat more domestic and less magical in its concoction than most of my recipes tend to be. The aim was to create an evocative scent, rather than support a specific intent, although it, like the others, was created with appropriate associations in mind. There were two ‘Nottingham Castle’ formulations – one for Summer and, this one, for Winter. There are two possible approaches I like to take when formulating a winter incense, and both can be used for creating incenses used at and around Yule. One is to aim for a recreation of the bright wildness of the winter season, using ingredients like pine, and holly (and even mistletoe in small amounts). The other is to reflect the richness of Yule celebrations and the warmth of the hearth and home. Castle Winter takes the domestic approach, creating a scent that speaks of spice and hearth fires, of home cooking, and the protection of strong stone walls against the perils of storm and frost and winter chill. It’s an everyday version of a much richer Yule scent, and can be used in at any time in the deep winter months, from late November through to early February. I had managed to keep a record of the original recipe (something I didn’t always do in the early days – I have some fascinating unlabeled jars filled with equally fascinating scents, the intended purpose of which are now long forgotten.) It looked simple enough to recreate, and this morning I did just that – except, of course, I had to substitute one ingredient, because, while I probably do have some St John’s Wort lurking somewhere on my shelves, it really didn’t want to be found today! I also decided to enrich the scent by adding some essential oils – something that wasn’t in the original recipe, probably because we were making large batches for sale, and needed to do so on a budget. So – the base mix is spices and herbs rather than woods and resins: originally cinnamon, cloves, nutmeg, St John’s Wort and rosemary, with added dried orange peel, and some ground grains of paradise. As many of the ingredients were fine powders, I used whole cloves, pounded to a crumble in a pestle, and shredded the orange peel, rather than grated it, to give some body to the mix. Fresh rosemary could be added to give further textures, although in this case I used dried which was fairly finely crushed. As I couldn’t find my St John’s Wort, I used peppermint as a substitute (both have a Fire association, and reflect the ‘domestic’ intentions of the mix) and added some ground black pepper in with the grains of paradise (for similar reasons.) I then added matching oils to deepen the overall scent – cassia, cinnamon, black pepper, rosemary, and orange. The result is a dark, rich, powdery mix, with a spiced scent that swirls with hints of shuttered nights, flickering fires and the glow of candle light. I’ve left it to mature for a few days, and will use it for dark mornings and darker evenings as the mood takes me. My Yule incense, uses more expensive ingredients (like Frankincense and wine …) but the basic approach is the same, so Castle Winter could be used for the festival at a pinch – but it’s really meant for domestic days, when work needs to be done, and the chill of the Winter needs to be combated with good cheer and the welcome warmth of busy kitchens and cosy fires. Like all loose incense it needs a source of heat to burn, and it works well when smoldered on a charcoal disk. Because there are no resins in it, it will be consumed fairly quickly, so it’s best applied in small amounts, adding a bit at a time to create and maintain the scented smoke. And a sprinkle added over a wood fire will enhance the warmth of a cosy room, and evoke the Yule spirit as the year counts down to the shortest day. Some thoughts on craft and crafting. On the ‘About’ page for this blog, I have called myself a ‘crafter’ – which I am – but it’s a term that I probably need to expand on a little, since my definition is broad, than rather precise, and acknowledges working with insubstantial materials, like words, and with esoteric forces (like magic) alongside the mundane. Put that last one aside for a minute (boats, planes and rockets being potential subjects of my crafting, rather than products of it), and focus on the others. The word ‘craft’ comes from the Old English cræft, meaning skill, strength, and is related to the Old Norse kraptr power, skill, and the Old High German kraft. The definitions as given cover a range of activities, all of which – arguably – focus on the creation of something. That could be an item, an idea, or even the realisation of an intention. Art, skill, cunning, artifice, craft mean the faculty of executing well what one has devised. The common understanding of the term crafter (one who crafts) tends to focus on art, and skill. There are, inevitably, discussions and disagreements about where the dividing line between crafter and artist lies (and even whether there is a line, for that matter.) There is probably a spectrum that runs between making and creating, with hobby ‘crafters’ at one end, making things from kits and published patterns, through a variety of dabblers and amateurs, to the professional artist/crafter at the other. I tend to hang around in the middle of that, mostly working in textiles, trying out techniques and being generally interested in all sorts of things. Occasionally, I practice another kind of craft. One that brings in aspects of both cunning and artifice. Which is why my definition of crafter extends from needlecraft, through wordcraft, and ends up with Witchcraft. Author The MythweaverPosted on November 25, 2016 November 26, 2016 Categories Dabbling in Alchemy, Stitchery, Word WeavingTags MythweavingLeave a comment on Some thoughts on craft and crafting.